Works every time, because more likely than not, you can drag race into it. DONALD TRUMP IS RACIST . " HOW . 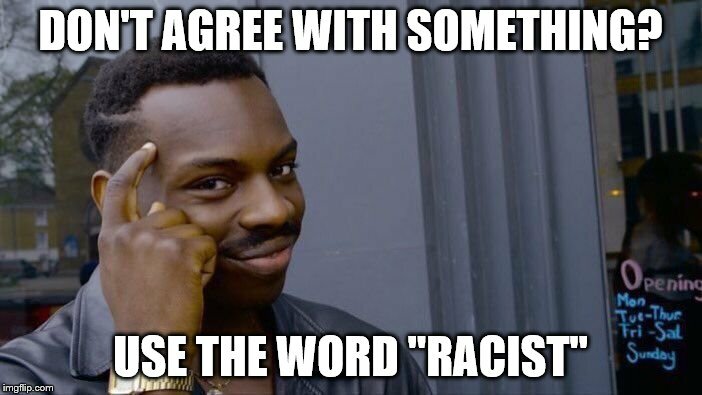 . . RACIST . . . IS HE ? 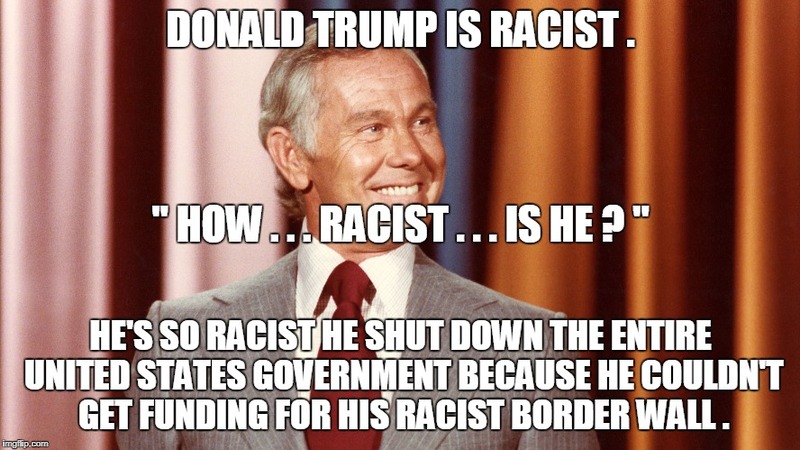 "; HE'S SO RACIST HE SHUT DOWN THE ENTIRE UNITED STATES GOVERNMENT BECAUSE HE COULDN'T GET FUNDING FOR HIS RACIST BORDER WALL .